If you thought that Beersmith Gastropub is only known for great beer, well, you need to know that they’ve also got fantastic brunch sets! We’ve visited them for their regular brunch weekend recently. For Easter, they will step it up a notch. 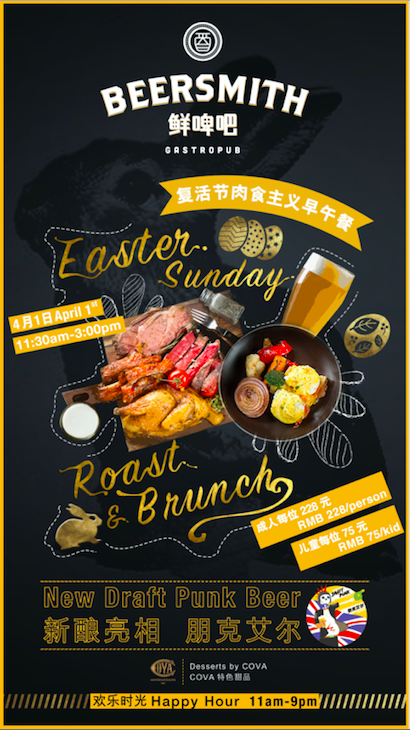 Their Sunday Roast and Brunch with Easter Touch will be served from 11.30am to 3pm. If you’re on a hunt for an Easter feast, Beersmith’s holiday brunch has a “Roast Carving” station full of mouth-watering meat, like prime Australian beef rib and herbed lamb leg to name a few. Of course, Easter won’t be complete without eggs — this time, you won’t color them but instead indulge in a selection of eggs cooked in different styles and spiced up with condiments. While kids eat, parents can have a midday drink, courtesy of the brewmaster’s new Draft Punk beer to increase the holiday mood. The English-style pale ale is brewed with UK Maris Otter malt and East Kent Golding and Fuggle hops. Kids below 6 eat free, from 6-12 at RMB 75 only. 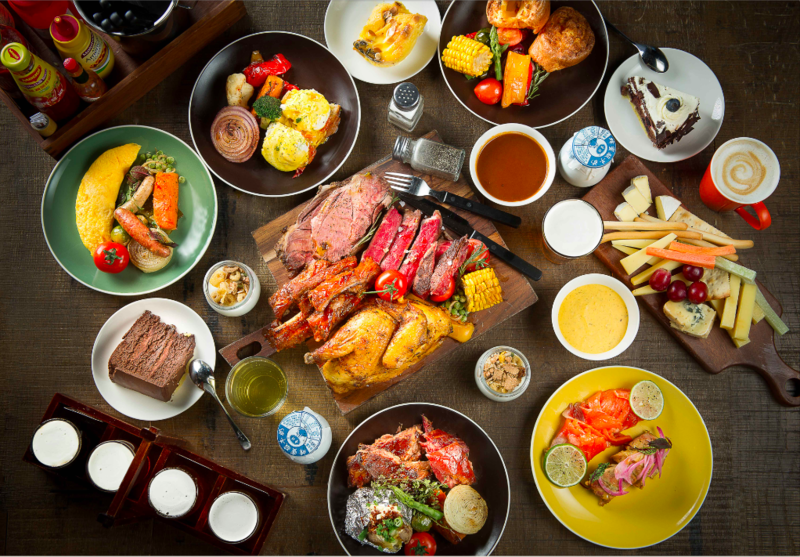 Beverage free flow package is RMB 168 (wine/beer for 3 hours). The weekend happy hour has been extended to run from 11am to 9 pm; buy one, get one on all craft beer, house wine and sparkling wine, and spirits/mixers. Beersmith Gastropub.